At 18 I built my first guitar under the tutelage of Marc Maingard of Maingard Guitars. A classical instrument, it was the first of many to follow as Marc took me on as apprentice on completion of the project. For most of my time at Maingard Guitars, I was self supervised and was the Head Luthier in charge of production in the Maingard workshop, producing guitars for the likes of Earl Klugh Steven Seagal, and top Agents around the world. My work covered every aspect of guitar building from design, (including implementing and refining the Bevel Edge, an Idea Maingard Guitars adopted from American Luthier Kevin Ryan), to every aspect of construction, inlay and finishing. I also covered all aspects of guitar repair and restoration of antique collectors guitars, breathing new life into them and allowing them, and their owners to sing again. 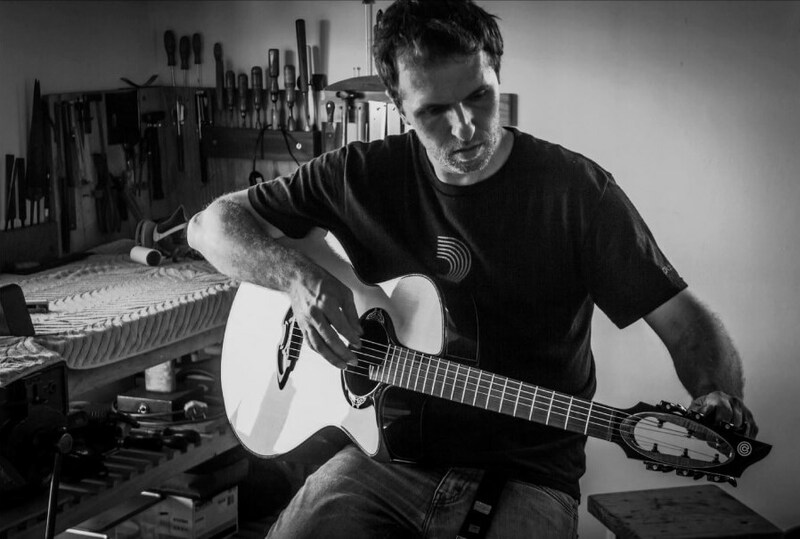 After 12 years at Maingard Guitars, having produced over 250 of his world renowned guitars. I started Casimi Guitars, with my best friend and colleague Matthew Rice. We opened our doors in 2012 and have never looked back.